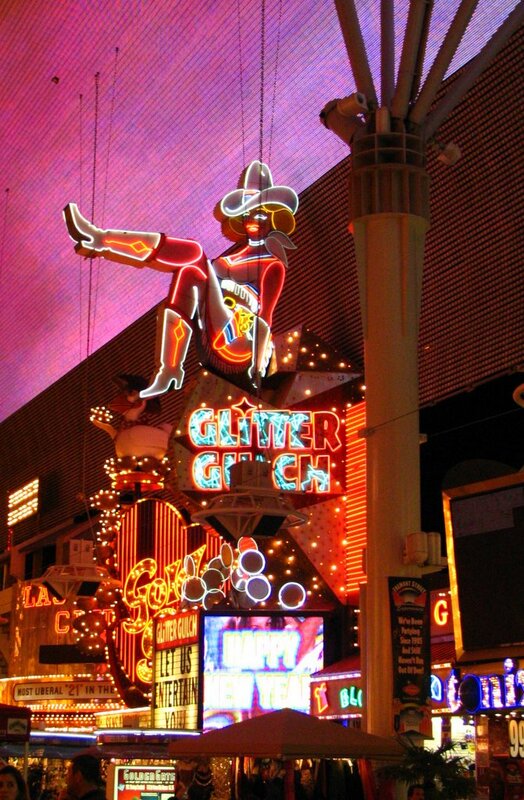 Last night we were in Downtown Las Vegas on historic Fremont Street, where it all started over 50 years ago. An area almost forgotten because of the glitzy, trendy, mobbed with people "Strip" uptown. 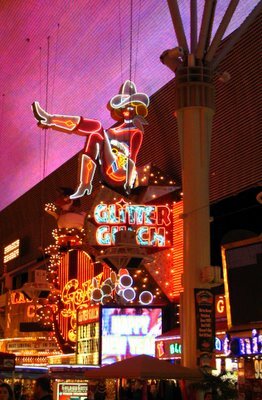 Downtown has some nice offerings and lots of nostalgia too, just check out a few of the ten legendary casinos that line Fremont Street; Glitter Gulch, The Golden Nugget, Binion's Horseshoe, etc. Anyone who goes downtown cannot miss being part of The Freemont Street Experience - a light show on a big screen with over 12 million lights and 550,000 watts of concert quality sound that stretches above Fremont Street from end to end. They have several different shows that run through the evening; everything from an animated alien attack to an amazing tribute to the red,white and blue. Do not miss this if you go to Vegas....it was around way before the dancing fountain show at the Bellagio. We also got to see a little filming for CSI: Crime Scene Investigation, which is set in Las Vegas. In fact, Ed and I parked the truck in the same lot as the crew on this shoot. We didn't see any celebrities but we did get to see a few scene set-ups that were pretty cool. 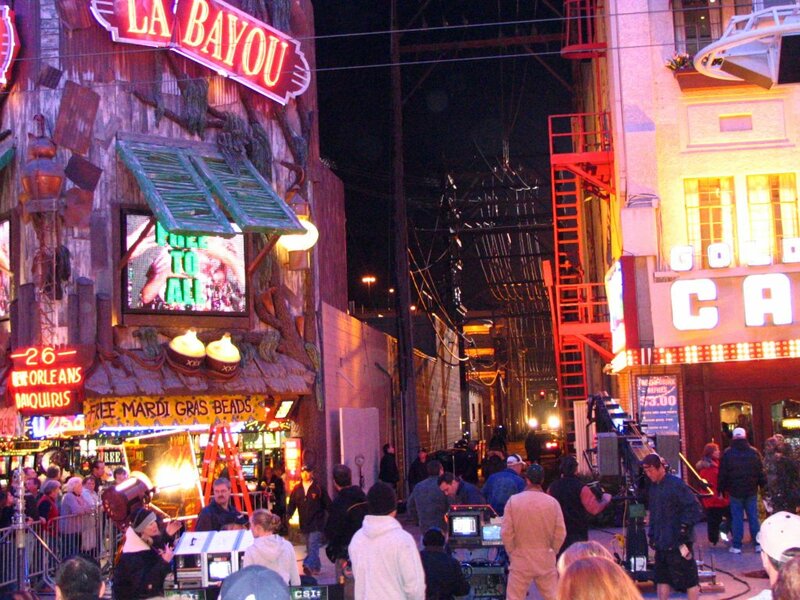 In this picture, they were filming in an alley right off of Fremont Street. And of course, let's not forget the food. Downtown has some of the best deals in town. Buffets aside, we actually had a nice sit down meal consisting of a 12 oz. 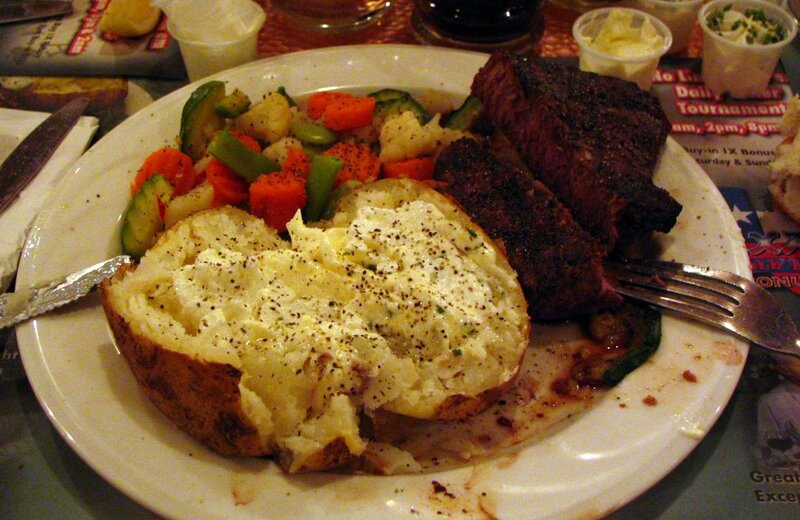 steak, baked potato and vegetable. All for $4.99!! Of course, when you lose $200 at the craps tables, that $4.99 doesn't seem like much of a deal anymore, does it? In a place like this, in order to not get caught up in the frenzy and excitement of gambling, you really have to eat and run. Okay, if you see Marg Helgenberger, put her in the truck and bring her to me. :) Or, if you don't want to go to jail, an autographed picture of herself personalized to me to say something like, "If I wasn't married and you weren't married and I was gay or you were a man, I'd be all over ya. Love Marg." Great pictures! 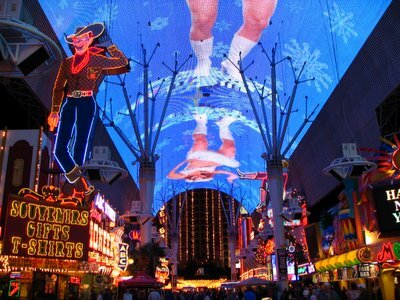 I love Vegas, was there once about 8 years ago. Would love to go back.